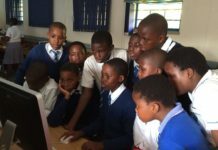 “We decided to focus on the townships of Inanda, KwaMashu and Ntuzuma in KwaZulu-Natal, notorious for their crime and violence and HIV/Aids incidence, and then roll out the project into other townships across South Africa,” says Matthews, who has registered the project as a non-profit organisation. 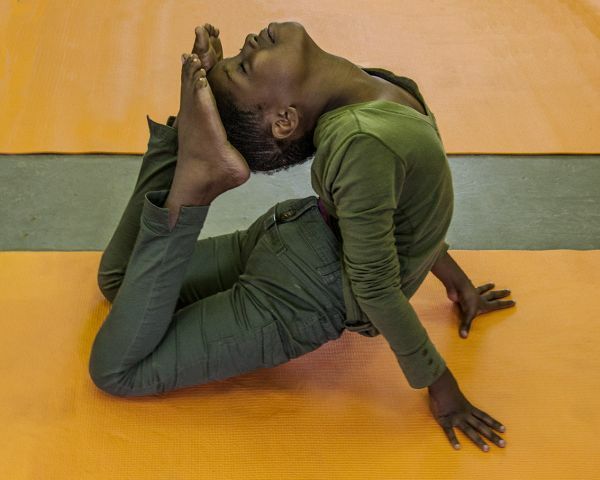 “At the same time, we identified four guys living in the townships – who all have various stories of hardship and suffering – and began training them as yoga teachers through the Jivananda Centre in Durban North,” says Matthews. They completed the course in December 2013, and are now running their own yoga classes. Matthews and her director husband have funded the project through their film company so far, with some donations. They are making a documentary on the project, and have big ambitions for it. 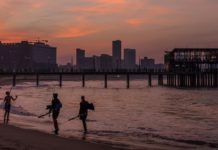 “We are looking for international distribution for the documentary, but it will also be sold through non-traditional distribution methods such as DVD, internet downloads etc,” she says. 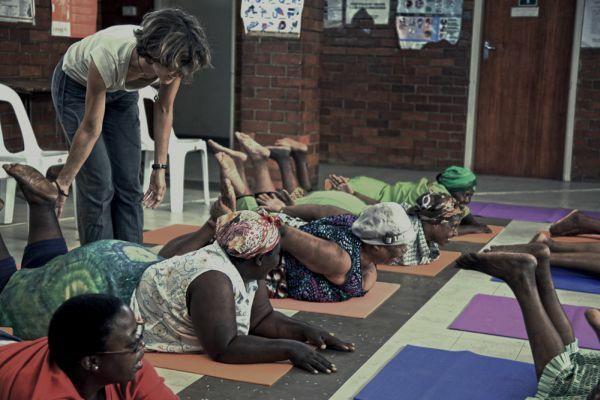 “We are also aiming to get corporates and smaller companies to sponsor DVD copies to be distributed into townships, so people can become aware of the power that yoga has to change lives.” The documentary will be called Township Yogi. Profits from the film will go towards the project. Kwazi Manzi, 47, has qualified as a teacher. He describes how it has given him “confidence, perseverance and understanding”. 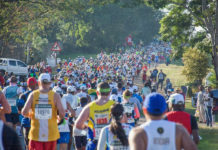 “I feel physically and mentally connected – it brings peace, and tones your muscles.” He says, too, that it has changed his life – he now looks at things more optimistically, and can “inspire others to do good”. Another new teacher, Kenneth Shange, says he hopes to bring “peace and healing to his community”. 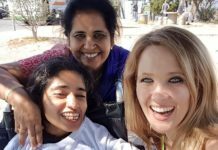 Matthews says it is stories like these that give her and her team inspiration, and “confirm to us that yoga has the power to elicit tremendous change across so many people’s lives, in the townships”. 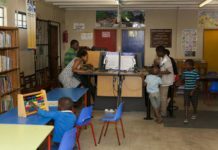 And that change has been measurable, she stresses, although it is impossible to measure its effects on crime and violence in the townships. But the effect is seen in a reduction of stress and tension in families, and how that effect ripples through people’s immediate communities. The practice teaches people to breath correctly, as well as strengthens the immune system, thus reducing stress. 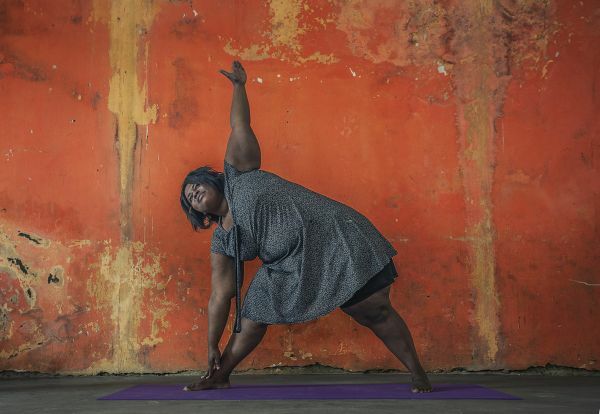 “Yoga promotes strength, flexibility, relief from pressure on the abdominal organs, and enhances circulation, and can be hugely beneficial to the millions of people we have living with illnesses such as TB and HIV,” says Matthews.